This Beer Week is just flying by, with B vitamin sales in Albuquerque at an all time high. Great work. Tuesday's lineup is a heavy hitter, so be prepared. Maybe hit up Spectators for the continuation of the Beer Pong tournament for a bit as a warmup, then move on for some tastings. And speaking of tastings, I apologize for omitting the O'Niells Nob Hill tasting of Odell beers for Monday, May 21. Free samples of 90 Shilling Ale, Myrcenary Double IPA, St. Lupilin Extra Pale Ale, Cutthroat Porter, and 5 Barrel Pale Ale will be available from 5-7. Very sorry, and hope you can fit that into your busy Beer Week schedule! Are you one of those people who are so into their routine that you get easily thrown off when something small changes, like the supermarket flyers coming on Monday instead of Tuesday? I can sympathize, but it doesn't mean you have to hide in a closet and consult your Google calendar to center yourself. Sometimes, a little wrench in the works like Il Vicino serving a cask on a Tuesday is a great thing. Sometimes, just having the advertised beer is even better, but we'll let that go...right? 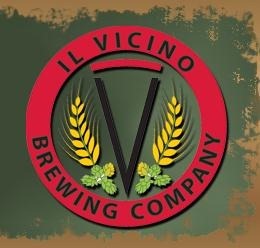 Anyway, Il Vicino will be serving a cask (a day earlier in the week than usual) of their Scottish Ale, as well as debuting their Albuquerque Hops-pitality IPA, brewed specially for Beer Week! The 6.7% ABV, 90 IBU IPA is full of Amarillo and Simcoe hops...me likey! It's a La Cumbre tap takeover at O'Niell's Nob Hill location, with tastings of Pyramid Rock Pale Ale, Malpais Stout, South Peak Pilsner, and Barley's Wine. Elevated IPA and Jefe's Hefe will be on tap for pint sales. The IPA, Stout, and Barleywine are all recent medal winners at the World Beer Cup and you can try them all beginning at 5 pm. 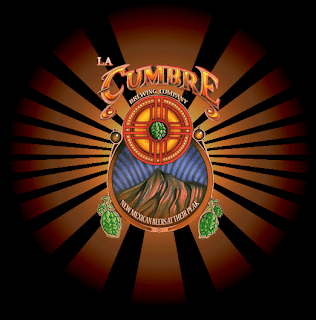 Just when you thought you were "acclimated" to La Cumbre's lineup, you get to try them in a whole different setting...which mostly means the Burger Basket won't be sitting outside. And no TV, so don't get stuck sitting next to someone you don't want to talk to. "Tractor Brewery will be having a trivia tournament downtown at Tricklock Company's new space. We will have teams of 10 players in a competitive night of fun and beer. Space is limited and the cost is only $10 per person. You will also be able to purchase a growler of your favorite Tractor Beer at this event. Winning team will get a Tractor Prize Pack!! Multiple rounds, each on a particular subject. Each team will have a bell and the first team to ring gets to answer the question. Get it right and get a point. Get it wrong and the other teams get to try. Register at the Tap Room. For added enjoyment Lauren & Nathan will be hosting in character." Come out and show Albuquerque that you're allll smart. EDIT: So the event will be held at Tractor's Tap Room (thanks, Chris Jackson) and there is no minimum for team members. Now, this is nice. Two reps for two different distributors coming together and providing beers for the New Belgium vs. Old Belgium event at Nob Hill Bar and Grill. New Belgium Beer Ranger Brian Hart and Crianza rep Fernando Chavez will guide you through tastings of their respective beers, paired with three courses of Nob Hill Bar and Grill's dishes. New Belgium beers will be Abbey, Belgo IPA, and Trippel, and the "Old Belgium" beers will be St. Louis Gueuze Fond Tradition,Delirium Tremens, and either St. Louis Framboise or Ichtegem Grand Cru. The dinner costs $35, and reservations can be made by calling 266-4455.